I used to be a huge fan of boxed Rice a Roni. Once I started food blogging, I gained so much knowledge about pre-packaged foods and what's in them, so I decided to try and make almost everything from scratch. I've previously made homemade Chicken "Rice a Roni", so this time I wanted something very different. 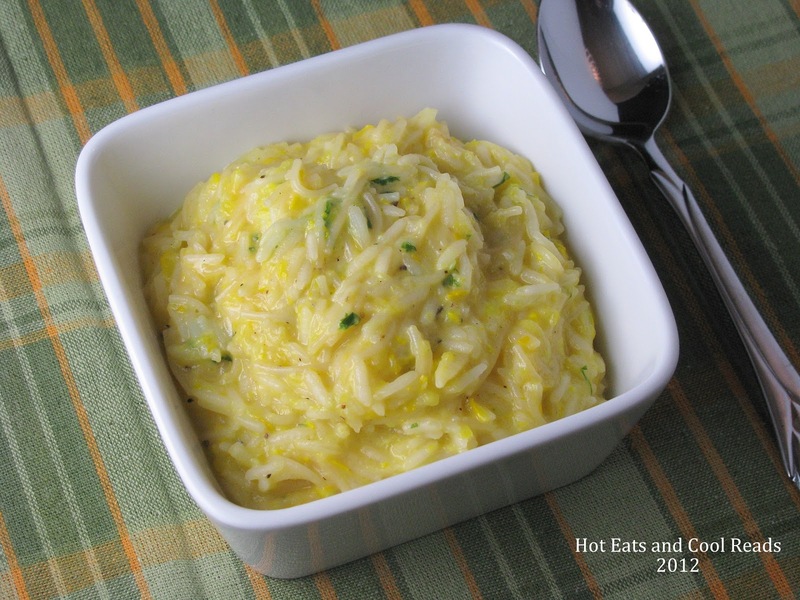 This side dish is perfect for kids because the grated squash is hidden in the rice and noodles, so they don't even know their eating it. I really loved the flavors and how this turned out. It's a great way to use up all of the extra squash and zucchini everyone has right now. Enjoy you will like this one!! In a large frying pan, melt butter and saute rice and noodles on medium high heat for about 5 minutes or until it starts browning. Add broth, milk, onion, squash and parsley, bring to a boil. Cover and reduce heat to medium low and simmer for about 20 minutes or until rice is cooked and liquid is reduced, stirring occasionally. Add cheddar within the last few minutes of cooking and stir to melt and mix the cheese. Remove from heat and serve! What a lovely recipe! 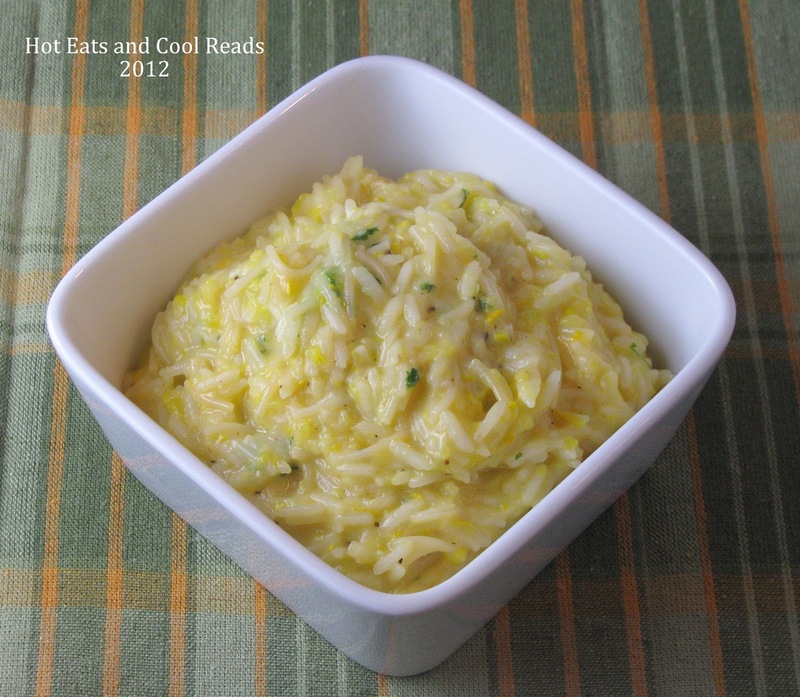 I'm always looking for new ways to cook with squashes and zucchinis. Thanks for sharing! Your welcome!! I am always looking for new recipes too! Thanks for all the kind comments! Lovely post. I got to this via Mealtime Monday on Couponing and Cooking. I have linked in spicy mince lettuce cups. Enjoy. I make something similar to this using rice only - as a way to get more veggies into my kiddos :) I'll have to try it with the noodles, too! Thank you for sharing at All my Bloggy Friends this week! Have a great weekend! Thanks so much for hosting Jamie!! I love the addition of the noodles! We have so many wonderful squash from the garden right now, this is a great recipe for us to try. Hope you are having a great week and thank you so much for sharing with Full Plate Thursday. I need to pin this recipe because I can't eat the box rice mixes anymore! Great recipe! Thanks again for sharing at Foodie Friends Friday! I can't eat the boxed mixes anymore either! This is a great replacement!! Oh this sounds good. I think I'll have to make it soon. So glad you linked up at Weekend Potluck...keep these awesome recipes comin! Hope you like it Marsha!! Thanks so much!! Hi! Just to let you know that I made this recipe... with a couple of changes and am featuring it on my blog for this week Foodie Friends Friday Linky party... It was awesome thank you and hope that join us again tonight with a great recipe. I just made this and I burned my tongue because I couldn't stop eating it while it was hot. Sooooo good! I can't wait to see how great it will be when it cools and I can actually enjoy it! Hopefully I don't finish it off before the rest of the meal is ready.